Never miss an important call again thanks to 24 hour answering services from Absent Answer. Every phone call is an opportunity, and missing opportunities is bad for business. Customer service surveys have shown the importance of prompt, readily available telephone support. If your business wants to stand out from the competition, it starts with meeting and exceeding customers’ expectations. With 24 hour live telephone answering services from Absent Answer, your business can take calls around the clock, 24 hours a day, 7 days a week, 365 days a year. Our friendly live agents can answer calls overnight, before or after office hours, over the weekend, during the day -- whenever you need a professional voice to help answer calls live in the name of your business. Our 24/7 live answering services help free up your staff to focus on operations, not manning the phones. And because you only pay for the time you need, using Absent Answer as your telephone answering service enables you to extend your availability without increasing costs. There’s no payroll or administrative overhead to worry about. Simply establish your account, outline your instructions for handling your calls, and forward your calls when you’re ready for us to start answering. It’s that simple. By establishing a 24 hour hotline or call center solution for your business, you ensure that customers, employees, vendors, and other stakeholders always have a point of contact, even when your office is unavailable. Let’s explore how 24 hour telephone answering services can help improve customer satisfaction while decreasing costly distractions. Business happens outside the hours of 9-5. Sales inquiries, customer support issues, employee call-offs, scheduling changes, you name it. Our after 24 hour answering services is always available, which means you can stay open 24/7/365. No more restricting your availability to regular business hours. Let customers reach a live person whenever they place a call. With Absent Answer, your office is always open. Calls to your office are important, and every detail impacts the customer experience. From the tone of the operator’s voice to their level of understanding and ability to efficiently handle the call, every step presents an opportunity to either improve the customer experience or introduce friction and costly miscommunication. We recognize the importance of these calls and train every agent on customer service standards to ensure every call we take is handled professionally. Hiring receptionists or in-house call center agents to handle all of your telephone answering needs would be a significant expense. Especially if you need 24 hour coverage. Our answering service operators are available around the clock, but unlike employees, you only pay us for the time you need. With Absent Answer, you can ensure every call is answered live without increasing your payroll. Our call center agents are highly trained customer service representatives who can deliver the level of service your residents demand at a fraction of regular staffing costs. Our 24 hour call center is setup to function as an extension of your business. We answer calls under the name of your organization and handle each request per your instructions. By using your web-based software systems, delivering messages across email, text, fax, and voicemail, and following scripting that you design, we’re able to facilitate incoming customer requests as though we were a regular employee working out of your office. As a result, we can fulfill key aspects of your customer service and call center operation efficiently without increasing your overhead or adding unnecessary red tape. Having Absent Answer handle your 24 hour call center needs is easier than you think. It’s as simple as establishing your account instructions, training our team, and then forwarding your phone lines whenever you want our agents to answer calls on your behalf. You can turn your calls over to Absent Answer at the same time every evening when your office closes for the day, during holidays when the office is closed, during busy periods, or on demand. We’re there to answer whenever your business needs us. 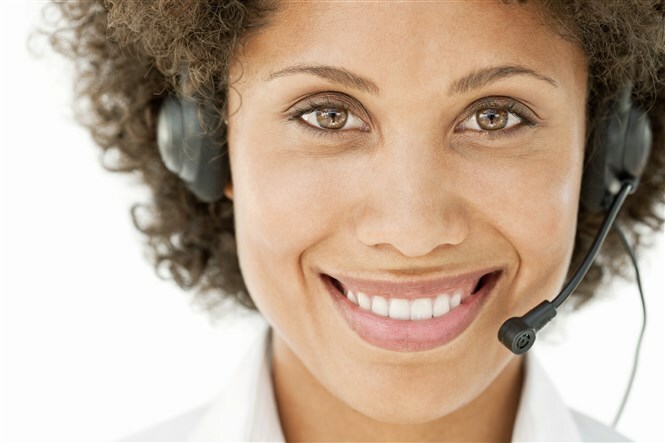 Here’s how a 24/7 answering service works. A caller dials your regular office phone number. This could be a customer trying to reach your receptionist or request technical support, an employee checking in from a job site, routine scheduling calls, or any other type of call that your office may receive. There’s no one-size-fits-all approach for handling business calls, so our team is armed with your precise instructions and handles each call per your expectations. We can perform initial call screening and route the call to the appropriate staff member if certain criteria are met, take a message for the office, or complete routine administrative tasks directly over the phone, such as providing general information or scheduling appointments. Our telephone answering service is completely customizable. We take calls as an extension of your organization. We can handle customer intake, enter troubleshooting tickets, dispatch emergency issues, take messages, and perform other telephone answering tasks on your behalf. 24 Hour Virtual Receptionist. Do you want calls to your office answered live 24 hours a day? Do you wish your receptionist was available around-the-clock? We’ve got you covered. Our 24 hour answering service can deliver the call coverage you need, when you need it. 24 Hour Emergency Service. Give your customers a single phone number they can use to request support or notify you of urgent issues. Our 24 hour hotline can take routine messages or escalate issues directly to on-call personnel, allowing us to serve as the frontlines and filter out non-urgent items while ensuring important issues get the attention they need. We can reduce costly distractions while also decreasing your risk and liability. 24 Hour Customer Service. Don’t force customers to call during certain hours. 24 hour customer service enables you to remain flexible to the needs of your customers and ensure you always have a live voice available to take calls and assist with customer requests. 24 Hour Appointment Scheduling. We can schedule appointments by accessing your web-based calendar system. By having our agents use the same system as your office staff, you can reduce data entry costs, reduce errors, and ensure everyone remains on the same page. More appointments and fewer scheduling issues means happier customers, better retention, and improved profitability. 24 Hour Dispatching. Our dispatching service is designed for companies or support departments who provide 24 hour service and need an effective way to screen calls and dispatch on-call technicians. We can deliver call details to the appropriate contact based on the type of call, location, time, and other factors that may alter the escalation procedure. Sales Lead Capture. A critical necessity for a successful marketing campaign is the ability to capture and handle sales inquiries on a 24-hour basis. This of course includes after regular business hours when your staff has gone home for the day. Absent Answer will work with you to customize call handling and scripting to ensure you don’t miss a single call. In addition, you will be able to track all aspects of your marketing campaign and measure any number of data points that you would like to report on. Call Routing and Pre-screening. Many clients reduce their costs by 40% by using our specialized voicemail pre-screening service. Many service companies use our pre-screening service to inform clients of business hours or other information. The caller has the option of leaving a voicemail for office hours or speaking with an agent in our call center. Telephone Order Entry. Save time and money required to handle order taking by letting our staff handle those tasks for you. Whether yours is a small business going through growth periods, or a larger operation needing help with after hours or overload order processing. Did we mention that we also train our professionals to up-sell and cross-sell in order to maximize your sales efforts? Help Desk Services. Commonly referred to as Level 1 Tech Support, many technology companies find that 90% or more of technical support issues can be resolved with the simplest of instructions. Absent Answer agent fills out a “trouble ticket” identifying the level of importance and then notifies the appropriate staff. Virtual Secretary and Messaging Services. Never worry about the accuracy of your messages with our highly trained call center professionals. Your messages can be dispatched via a variety of methods: text messaging to your cell phone, sending emails, faxing messages. Absent Answer’s automated message routing program eliminates human error when dispatching to multiple on call staff. Emergency Dispatching and Call Escalation. Some calls require immediate attention or support from an on-call professional or Tier 2 personnel. We won’t be able to run each call by you as they happen, so our team will be briefed on your individual escalation policy, ensuring we can handle every situation appropriately as they arise. We’ll adhere to your instructions at all times, and will monitor the situation until the appropriate person attends to any fault or the issue is resolved. Our 24 hour support service is a great way to keep on top of your business and ensure critical operations remain available to your customers, even when you’re not in the office. Quality customer service. Absent Answer’s 24/7 answering service provides highly trained agents who deliver high quality customer service on behalf. On-call scheduling software. If you have rotating on-call personnel or specialized instructions based on the nature of the call, our specialized On-Call Scheduling software will ensure the correct person is contacted every time. When changes are made, they instantly update our system so that we reach the correct person. At Absent Answer, we’ve been answering calls since 1985. Each and every call, message, support issue and appointment request gets handled accurately – 100% of the time. That kind of reliability allows you to focus on managing your business while we worry about handling your important calls and serving as your 24/7 virtual office receptionist. The personal touch that your customers feel is the same personal attention you can expect every day. Why choose Absent Answer as the answering service for your 24 hour call center needs? Absent Answer works closely with you to develop service benchmarks and create a consistent training program to ensure that all agents are fully trained to provide your customers, prospects, office staff, and outside vendors and contractors with attentive service and exceptional attention to detail. How do you determine whether a call is an emergency? Emergencies are determined based on the nature of the call and whether it aligns with your policies. You can allow customers or on-call personnel to determine whether calls are urgent or not, or have our call center agents cross reference issues with a list that we keep on file. Our call center can be setup to follow the exact policies spelled out in your agreements and policy documents. Do customers still call our office number after hours? Yes, your callers can call the same published business number after hours. The only difference is that you forward that line to us when you’re unavailable, and the calls reach our answering service personnel instead. Ready for a 24 hour answering service you can depend on to help support your business? We are ready to help. Contact our account team today to discuss your telephone answering needs and learn more about our affordable pricing plans.